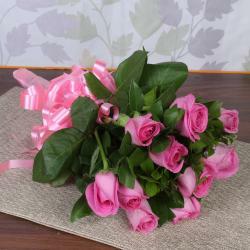 Bouquet of 25 Pink Roses with Green Fillers. 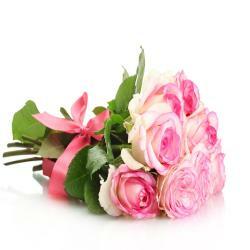 Sweetness and style are the necessity of your special day then select this bouquet it is a trendsetting for home decor. We were Promise to deliver a happy and long-remembered glow for any special occasion, this modern composition of pink roses, green stock and more is hand-arranged in a lustrous. 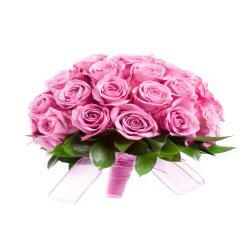 Nothing says to about this lovely Bouquet of Twenty Five beautiful Pink roses accented with fresh decorative greens. 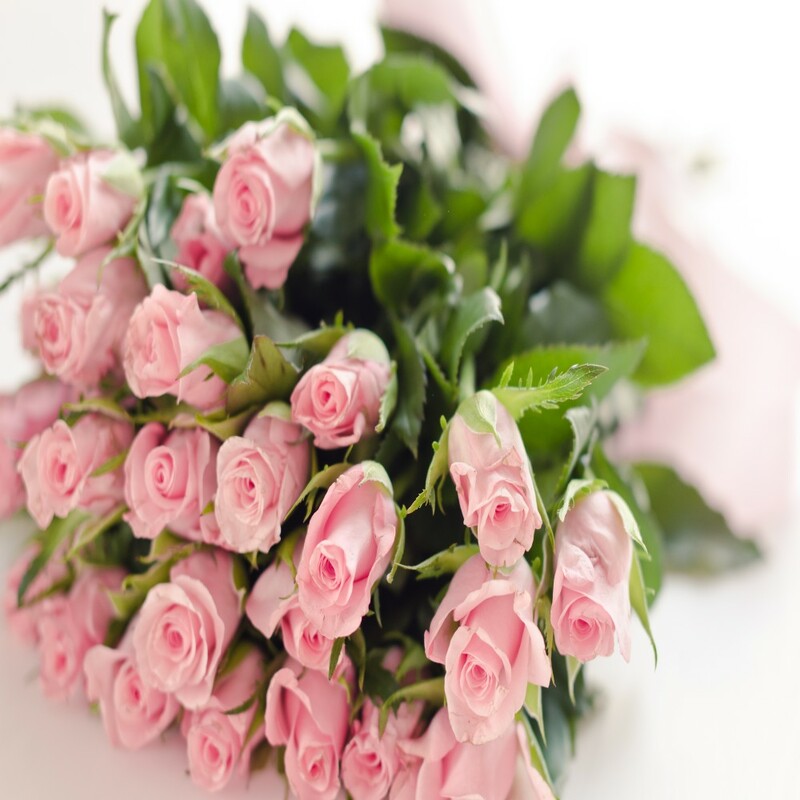 Bouquet of Pink roses is the best gift for Special occasion like baby showers, mothers day, womens day, birthday, anniversary, wedding, friendship day, Diwali, Holi, Christmas and many more. Place your order now at giftacrossindia.com and get same day delivery without any extra delivery charges. 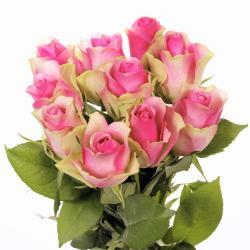 Product Details : Bouquet of 25 Pink Roses with Green Fillers.